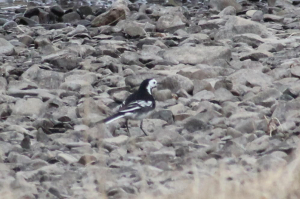 Observation - Pied wagtail (Motacilla alba subsp. yarrellii) - UK and Ireland. Description: A pair of these birds around yesterday. In almost constant motion and not easy to photograph. A pair of these birds around yesterday. In almost constant motion and not easy to photograph.